Welcome back to Teacher Tuesday! 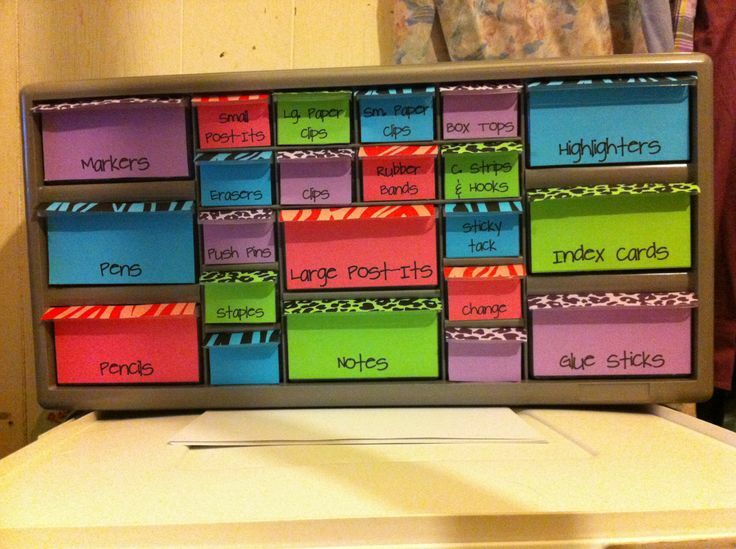 There are quite a few posts on various teacher blogs about how they fancied theirs up, but basically it is made from a toolbox that you can get at Lowe's, Home Depot, and a few other stores and adding some labels to each drawer. I went the easy route with mine. I cut out pieces of scrapbook paper to fit the size of each drawer and taped it in on the inside of the drawer. A lot of others either print or use stickers to label the drawers directly on the paper, but I wanted to be able to change the contents of my drawers without re-doing the entire label, so I wrote the contents on the outside of each drawer with a permanent marker. The writing doesn't come off in regular use, but if I want to change it I can scrub it off pretty easily since the drawers are made from a slick plastic. This thing has been an awesome addition to my desk. Besides adding some cute color to my work area, it has made it so much easier to find the things I need quickly, especially in the middle of class when I don't want to dig through a desk drawer. I have also found that it's easy for me now to send a student to grab a paperclip or band-aid and just tell them to find the correct drawer. 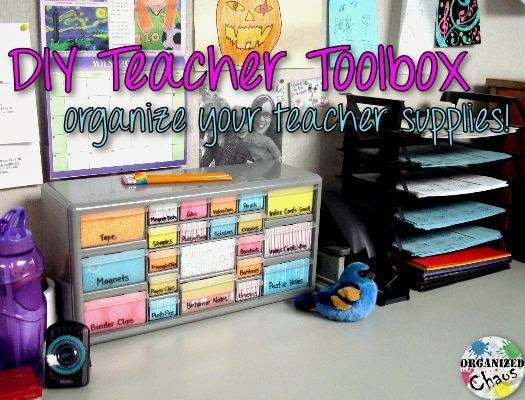 Have you made one of these teacher toolboxes yet? I am really happy with mine- it is an organizational work horse for sure! World Music Resources for free and on sale today!